Location: Lecture hall 14 S, South hall in the historic building next to CMM (Beaucheff 850). 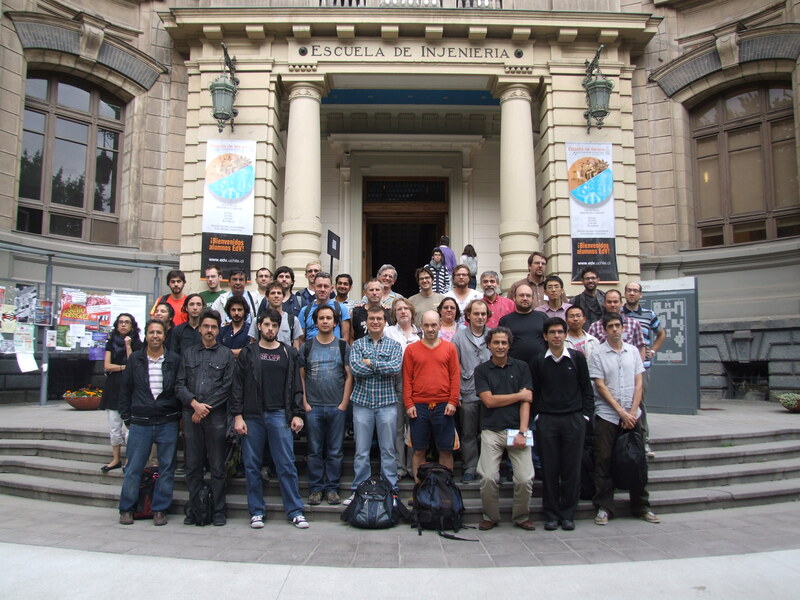 The first DySyCo School will be held at Santiago de Chile on the dates December 3-7, 2012. It aims to give students and young investigators a general vision about some recent developments in the area of Dynamical Systems with a focus on Discrete Dynamics, Symbolic Dynamics, Tilings and their connections to the Theory of Computation. This intense, one-week school will consist of Minicourses and individual talks about distinct topics related to dynamics and directed to students in their last years of undergraduate (Licenciatura or Ingeniería Matemática) studies in Mathematics, master and Ph.D. students, Postdocs and young researchers starting their academic career. Prerequisites are Algebra, Analysis and Measure Theory as well as some knowledge about discrete Mathematics (graphs, combinatorics, etc.). All Minicourses will be given in English, however most of the speakers and organizers also speak Spanish and/or French. Remark: We would like to point out that the week after the DySyCo School, i.e. 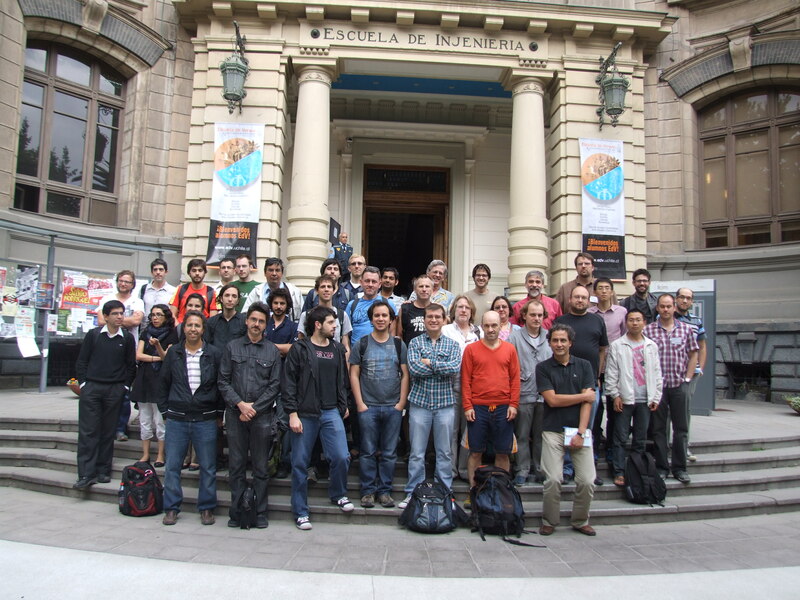 from December 10th to 14th, the bi-annual international conference Information and Randomness 2012 will take place in Puerto Varas (South of Chile). People interested in participating in this conference as well should contact the organizers of IR2012. People planning to participate in this school should send an email to mschraudner@dim.uchile.cl before September 30th, 2012. A letter showing your interest in participating and specifying the type of financial support (transportation, room, board) requested. A certificate of your grades. A letter of recommendation (send directly to the above email address) by a university professor or mathematician. The candidates applying for financial support will be informed about the results of the grant evaluation in October. Non-student participants (postdocs, researchers) will have to pay an inscription fee of 30.000 CLP (about US$60), which will include the school's material and cover coffee breaks.